The excitement level is rising on the Tampa Bay Downs backside as trainers get their horses ready for the 2015-2016 meet that will open on Saturday, Nov. 28. “There is always a lot of optimism at the beginning of any meeting, and you can feel the camaraderie with everyone getting their horses ready,” said trainer Bernell Rhone, who has been coming to Tampa Bay Downs since 1999. “Everything seems to be positive,“ he said. 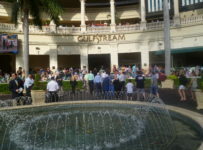 “They’ve got good handle (wagering), large fields and good surfaces. 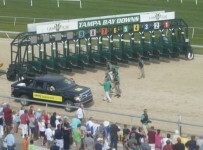 Rhone is an example of how trainers come to Tampa Bay Downs each winter from tracks throughout the eastern United States. He was tied for fourth-leading trainer at Canterbury Park in Shakopee, Minn., this summer with 27 winners. 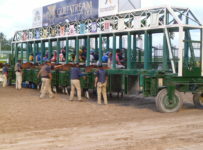 Horses have arrived the past couple of weeks from New York, New Jersey, Maryland, Delaware, Kentucky, Pennsylvania, Indiana, Illinois, Minnesota, Ohio, Canada and even 90 minutes up the road in Ocala, Fla., to compete during the 91-day meeting that will have racing each week through May 8. 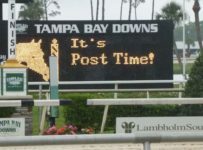 Post time for the first race on Nov. 28 is 12:25 p.m. Tampa Bay Downs will conduct racing on Wednesdays, Fridays and Saturdays for three weeks before adding Sundays to the mix on Dec. 20. The track is closed on Christmas Day, Dec. 25. 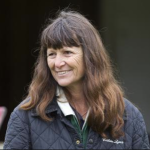 The most familiar face returning to the Oldsmar barn area is trainer Jamie Ness, a resident of nearby Odessa, Fla., who has won nine consecutive Tampa Bay Downs training titles (twice tying for the top spot). 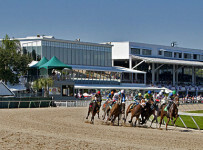 Ness has saddled 2,390 winners in his career, and successfully took his show on the road upon the conclusion of Tampa Bay Downs’s last season. He won training titles at Pimlico, Delaware and Meadowlands. 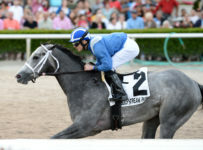 He holds the single-season Oldsmar mark with 79 victories during the 2011-2012 campaign and led all trainers in North America three years ago with 395 winners. His toughest competition for a 10th consecutive crown is likely to come from last season’s second and third-place finishers–past Oldsmar champions Gerald Bennett and Kathleen O’Connell. Bennett led the standings for most of last season and saddled 43 winners, three behind the Ness total. O’Connell sent out 39 winners and was the track leader in total purse earnings with $648,271. She is the trainer of 3-year-old filly Lady Shipman, who finished second in the T Breeders’ Cup Turf Sprint last month at Keeneland. Other top returning conditioners include Arnaud Delacour, trainer of 2015 Preakness third-place finisher Divining Rod, and Tom Proctor, whose stable includes Grade I-winning 3-year-old filly Include Betty. 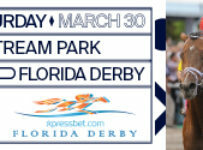 Also returning as trainers are Sandino R. Hernandez, Jr.; Jason DaCosta; Chad Stewart; Dennis Ward; Eoin Harty; Ian Wilkes; Dale Bennett; Joe Woodard; Aldana Gonzalez; Joan Scott; Rhone; and William “Buff” Bradley. 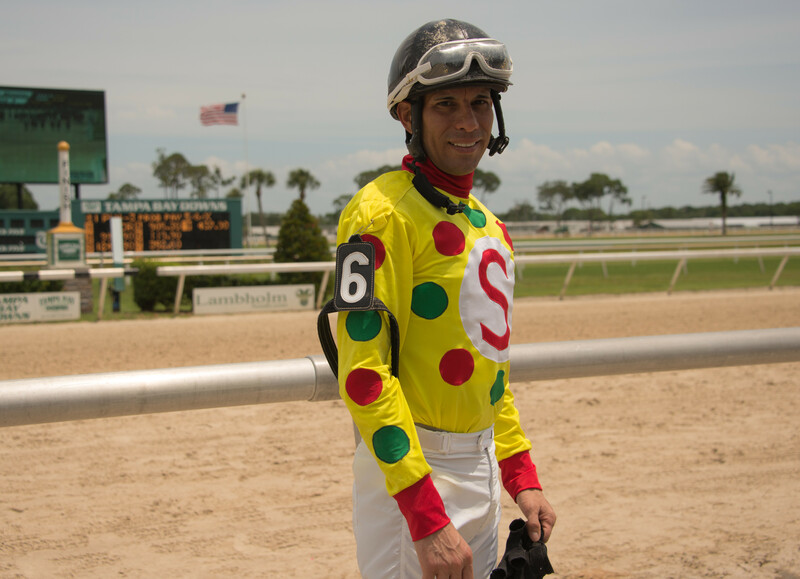 Antonio Gallardo will attempt to repeat as Tampa Bay Downs’s leading jockey, having set a track record last season by riding 147 winners. 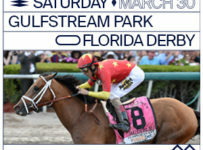 The 28-year-old Spaniard, who calls Tampa home, has won back-to-back riding titles at both Tampa Bay Downs and Presque Isle Downs in Erie, Pa., where he also holds the single-season mark. Gallardo’s main competition this season should come from five-time track champion Daniel Centeno and Fernando De La Cruz, who finished second in the Indiana Grand standings this year. The list of returning riders also includes four-time track champion Ronnie Allen, Jr.; Victor Lebron; Dean Butler; Ademar Santos; Pablo Morales; Scott Spieth; Jose Ferrer; Brian Pedroza; Erick Rodriguez; Ricardo Feliciano; Huber Villa-Gomez; and last season’s two top apprentice riders, Luis Figueroa and Janelle Campbell. 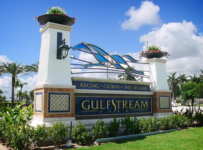 Newcomers expected to make an impact include Albin Jimenez, the leading rider at Indiana Grand, and Christian Santiago Reyes, who won an Eclipse Award as the nation’s top apprentice jockey in 2009. Rosemary Homeister, Jr., a perennial fan favorite among Tampa Bay Downs regulars, has taken a leave of absence from riding to work in Hoffman Estates, Ill., as a personal fitness trainer and nutritional consultant. Fans can expect a spirited competition for top owner honors. 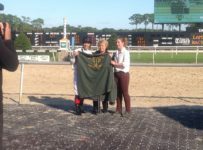 Last year’s race saw Dennis Amaty’s Amaty Racing Stables forge a tie on the final day of the meeting with Midwest Thoroughbreds, Inc., Rich and Karen Papiese’s ownership entity that has won six consecutive Tampa Bay Downs owner crowns. 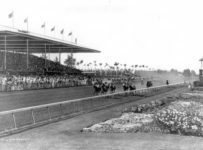 Each won 23 races. 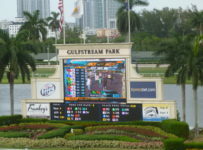 *Returning patrons will immediately notice an infield tote board that has been painted black to improve visibility and hopefully proclaim their skills at handicapping when results are posted. * The addition of a Super High-5 wager, with a carryover jackpot from race to race when it is not hit, will provide bettors with additional opportunities for striking it rich. 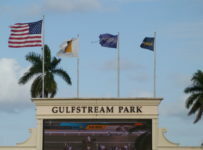 *The stakes schedule begins on Saturday, Dec. 19 with Cotillion Festival Day, a racing card consisting mainly of 2-year-old horses, all of which turn 3 on Jan. 1, the shared birthday of all Northern Hemisphere Thoroughbreds. 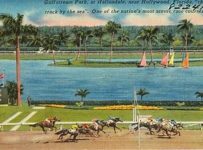 The Cotillion Festival Day program will include the $100,000 Inaugural Stakes for juvenile colts and geldings and the $100,000 Sandpiper Stakes for juvenile fillies, each at a distance of six furlongs. 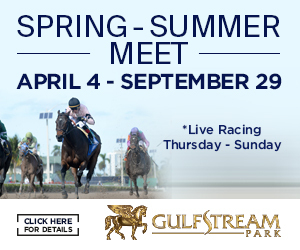 Also scheduled that afternoon is the $100,000 Lightning City Stakes, at five furlongs on turf for fillies and mares 3-year-old and up.